The story of our food couldn't be told without the talented team that creates the atmosphere and crafts the dishes we present each day. A native of Manchester, CT, Dan Meiser began his restaurant career working for well-known local chef, Chris Torla, of Trumbull Kitchen in Hartford, CT. Recognizing his passion for cooking, food, and restaurants, Dan enrolled at the esteemed French Culinary Institute in Manhattan, graduating first in his class. Dan then went on to work in the kitchens of world-renowned chef Daniel Boulud at Restaurant Daniel, and then Café Boulud. Several years later, Dan returned to Connecticut to work for restauranteur Rich Rosenthal of the Max Restaurant Group, learning the business as a young floor manager at several of the Max Restaurants. In the summer of 2006, Dan took the reins as General Manager of Trumbull Kitchen, the very restaurant he started in as a line cook just three years prior. In 2007, Dan was approached by the Melville Charitable Trust, a non-profit organization, looking to establish a premier restaurant in the historically disenfranchised Frog Hollow neighborhood of Hartford as part of a neighborhood revitalization project. Accepting the charge, Dan opened up Firebox in June of 2007 to rave reviews. 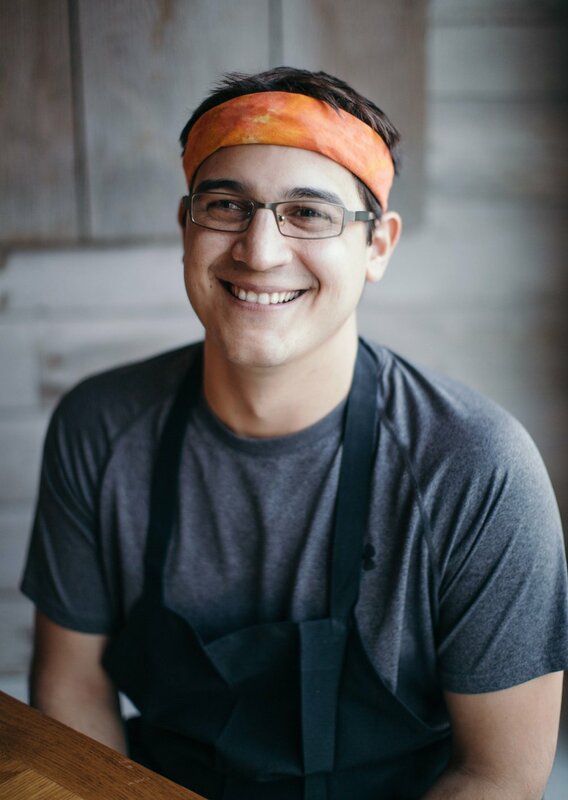 By 2008, Firebox was receiving national attention and in November, Dan received the coveted “30 Under 30” award given out by Restaurant & Hospitality Magazine to the top 30 restaurateurs in the United States under the age of 30. In the spring of 2010, after nearly 3 ½ years at Firebox, Dan was recruited to help re-open the Ocean House in Watch Hill, RI, consulting with the food & beverage team for their first season. It was this project that brought Dan to the Stonington area and ultimately inspired him to set forth on one of his proudest accomplishments. After more than a year transforming what was originally a small carriage house in historic downtown Mystic into what is now a cozy New England classic, Oyster Club finally opened its iconic orange doors on September 28, 2011. A daily changing menu, sourcing almost exclusively from local farmers, fisherman and artisans, Oyster Club believes that “our food has a story.” With the help of the incredible and talented restaurant team, Oyster Club has been telling that story for 5 years now. Oyster Club has earned regional and national attention, having been named the “Best Upscale Restaurant in CT” by the Connecticut Restaurant Association, one of the “Best Oyster Bars in America” by Travel & Leisure Magazine, and the #76 restaurant in America by the Daily Meal, on their annual “101 Best Restaurants in America” list. In 2013, building on the success of Oyster Club, Dan and executive chef James Wayman partnered to open Engine Room in a restored marine engine factory on the banks of the Mystic river. Almost 3 years later, it joins its sister restaurant as one of the great bar & food scenes in Connecticut. With a constantly evolving beer & cocktail program, coupled with American comfort food prepared using ingredients from the same farmers, fisherman and artisans as Oyster Club, Engine Room is the perfect place to gather with friends and family. In 2017 Dan and James opened Grass & Bone, a neighborhood butcher shop and restaurant specializing in whole animal butchery. Dan, his wife Jane and son Levi, now live in Stonington on a 250-year-old historic farm property. Stone Acres Farm, a 63-acre former dairy and provision farm, dates back to 1765 and is one of the most iconic farm properties remaining in CT. With it’s grand main house, stone walls, pastures, orchards, woodlands and wetlands, the property is as diverse and interesting as the plans for it. With a proposal to bring back full farming activities, coupled with artisan food production, an on-site market, farm dinners and a restaurant, Stone Acres Farm will become a “must see” for regional food tourists, and a daily staple for the local community. Dan serves as Chairman of the Board of the Connecticut Restaurant Association. Dan also serves on the Board of the Connecticut Tourism Coalition, the Board at Stone Acres Farm, as well as on the Advisory Council of New England Science and Sailing (NESS). In 2016, Dan was named “Restaurateur of the Year” by the Connecticut Restaurant Association. James Wayman was raised on his grandparent's berry farm just outside of Greensboro, North Carolina, where he was introduced to farm to table living. At age 15, he got his first restaurant job and fell in love with cooking. Upon graduating from Johnson & Wales University in 1996, he worked in Providence and outside of Boston before transitioning to Stonington, CT to work as head chef at Water Street Cafe. He then took the Executive Chef position at The River Tavern in Chester, CT, working there with chef-owner Jonathan Rapp for seven years. It was at River Tavern where he developed an affinity for whole animal butchery and a philosophy of sourcing food locally. James carried the farm to table philosophy with him to Oyster Club Restaurant in Mystic, CT where he is now Executive Chef. His daily-changing, seasonal menu is built on a foundation of superior local ingredients and lasting relationships with area purveyors, artisans, farmers, and fisherman. James’ cooking style is heavily influenced by his voracious study of global food cultures. His menus change each day, constantly evolving as he continues to explore techniques and flavors from all over the world. In recent years, his travel through Thailand and Oaxaca, Mexico, have made a significant impact on his cuisine, the confluence of these cultures serving as inspiration for his latest dinner at the James Beard House. He has been featured in The New York Times, Saveur Magazine, and named Best Chef by the Connecticut Restaurant Association. Oyster Club has been named one of the 101 Best Restaurants in America by The Daily Meal for three consecutive years, and has been featured in Travel + Leisure Magazine, Town & Country Magazine, and on NPR. 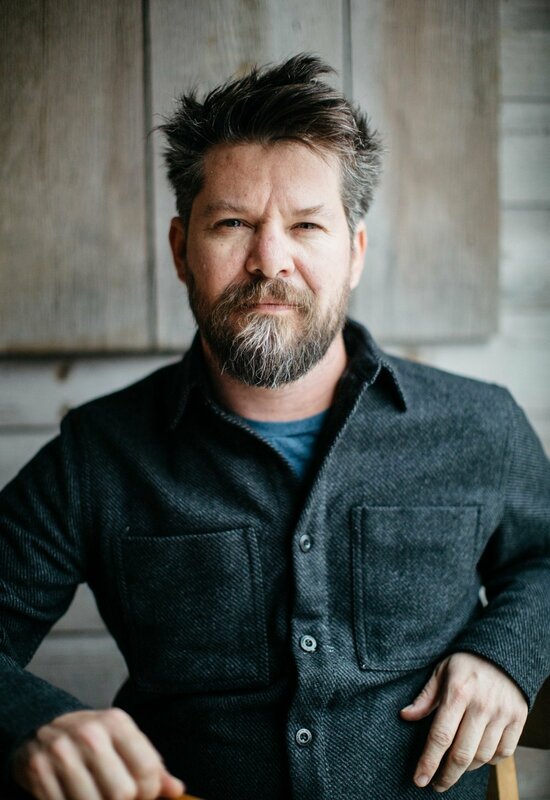 James cooks and consults at more recent projects like Engine Room, known for American comfort food and dry aged burgers, and Grass & Bone, a casual restaurant and neighborhood butcher shop, specializing in whole animal butchery and dry aged meats. You can find James harvesting produce for his restaurant family at Stone Acres Farm, where he serves as President of the Yellow House Education Center. At home he gardens, cooks over wood fire, and cares for his brood of beloved chickens. Outside of the kitchen, James devotes himself to meditation and practicing martial arts, enjoying the outdoors, often fishing and foraging for wild plants and mushrooms. James’ passion for nurturing the culinary community in Southeastern Connecticut has made a significant impact on the local food economy. His restaurants have contributed to a rise in demand for hyper-local, sustainable, seasonal products, and a more thoughtful approach to every day eating. James mission is to continue on this path and make a lasting impression on the broader food system. Dave has been cooking since childhood, learning from his grandmother and aunt as they watched Julia Child after school. At home, he cooks tacos and noodle bowls with his growing family, taking time to garden with his children and instill in them his reverence for good food and where it comes from. He works for Oyster Club because he loves the way we cook, and he believes that together we can positively impact the food system. Amee's earliest food memory is the tomato aspic that her grandmother would serve at her cocktail parties in the 80's. Amee was adopted, and grew up eating "pork chops and Ken's Italian dressing." 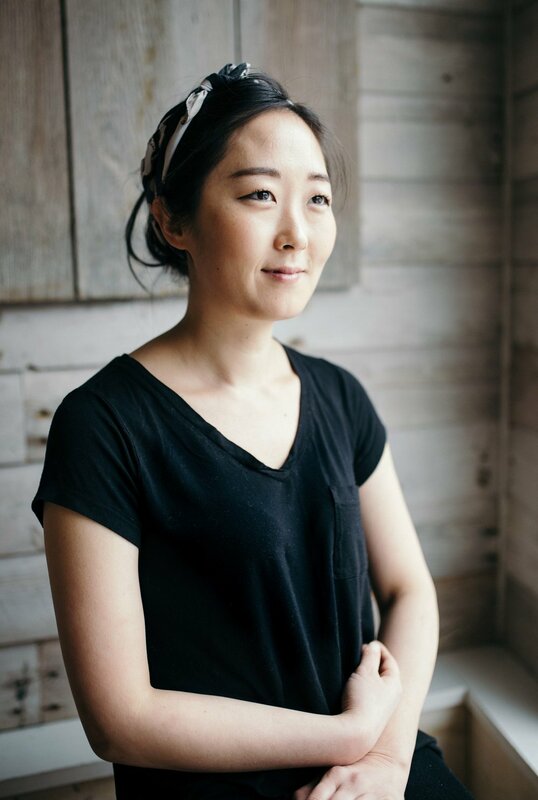 It wasn't until a few years ago while living near Korea Town in Los Angeles that she began exploring Korean food. "Cooking is instinctual. It's art, it's emotion. It's soul searching. I'm Korean, but Korean food was something I had never pursued. I felt it within and it's become an obsession." When she moved east she became interested in the local food movement and began working for Oyster Club. "They've given me a lot of freedom to explore and experiment. I love knowing exactly where this food comes from. You can trust this food."